I think that, if applied to the map, it would emphasise positioning better. You could see the presence of your team better and fill the gaps accordingly. In that example screenshot, it would be easier to see that the way to your base is open through hub. The size of that circle mght scale with the players mobility, so that a jetpacker has a larger circle than a non-jetpack flamethrower marine. 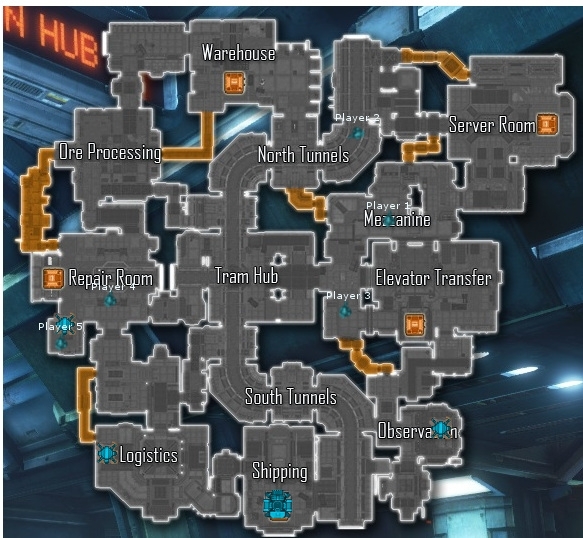 Additionally, I'd like to see a health indication for structures and players on the map, so you'd know where to weld or where to heal as a gorge. A red/yellow/green dot in the centre of the icon could suffice (at least for structures). Player health could be shown like the bars for the marine commander. The benefit would be better team play, because as alien you'd know who should engage first depending on hp and welding as a marine and healing as gorge would be easier and faster. edit: of course the health indication dots need to be visually different than the observatory scan dots. I really like this idea. I think this would help rookies and lower skilled players in a few different ways. These are both great ideas @remi can we get some input on them? Shouldn't be too hard to implement and I cannot see any possible drawbacks. I think even the best players sometimes forget where to go and what to do. 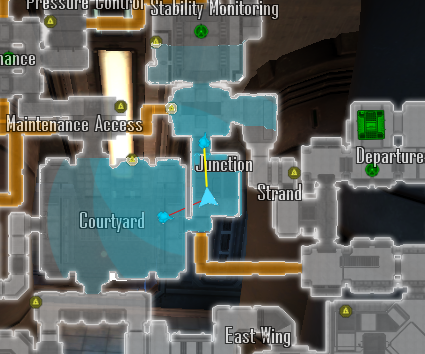 The player icons on the map are sometimes hard to see, because they merge with structure icons. For example when someone builds an RT. When under stress, you might lose track of where every marine is. With this, you would know right away how your team is positioned. The overlapping parts of the circle should be less transparant, which would indicate more power. I would even go so far and make these circles for enemy players as well. So that you see these enemy presence circles for parasited marines, or generally marines that are in in line of sight. You could then educate the aliens to avoid these circles and to parasite more often to get these circles. Good thoughts, makes sense. Would be a lot easier for people to understand lanes and why a commander is telling them something. You could even indicate line of sight, which would also be useful information. The yellow line means having line of sight (even when not looking in that direction). The red line means breaking line of sight. You could make it so that it blinks and then fades out after 1-2 seconds. Some good stuff here guys. No promises on implementing any of it (or the exact ideas posted here), but I've made note of it and will look into this. Some of the ideas posted here are similar to things I've already been thinking about. There are some potential performance issues with most of this, however, a decent compromise can probably be found. Well, I like the idea.. I think line of site would be information overload on the map. It would simply be too much going on. How about cone of vision like in metal gear solid if the other ideas don't get approved? Yes one of the main reasons marines lose is because of lack of map awareness. There is a minimap but when you press C it shows more details about the lifeforms than the red dots on the minimap. Please Replace the red dots on the minimap with lifeform indicators OR and this will be a risky move and rather not see it change the lifeform indicator on the big map into red dots. How about indicating marines on map that have a goddamn welder ? This is cool. Great mockup. Very good idea. I like the example of trixx. Hey, I love the idea of the colored sectors or areas. It would be amazing to get this into the game and use it to work out the problem of aliens having no minimap. As we all probably know, the marines have a minimap as an asymmetrical perk vs aliens, who have other types of improved vision. However, there is a problem where new players tend not to use the map (press C noob! ), and you have to bring up the map constantly especially as aliens. Then maybe an alien minimap can be made that shows red orbs where enemies are, or red sectors that have enemy presence. This way, the marines keep their asymmetrical minimap advantage, but aliens still have a general idea of what's going on in the map without having to bring up the full map, which has more specific information. It's a good idea! I would like to do this. It's not easy though... will probably require some engine work to allow us to draw arbitrary shapes into a texture (eg the minimap texture, or some texture created on top of it). Couldn't you just mix something with mcglaspies atmospherics mod and how infestation is shown? I think it is important that the highlighting is marine centered and not room centered, because the point of the circle is to show the marines interception range, which can be between two rooms. If the coloring was room centered, it would often fail to fulfil its purpose of visualising the concept of lane blocking. For Example on Tram you need two marines to lane block Hub (Mezzanine <> Elevator and North Ttunnels <> South Tunnels). If it was room centered and Hub was colorized, because it had one marine standing on the Elevator lane, South Tunnels would still be open and the map wouldn't properly show this. As amazing as Trixx's mockup looks, this would also mean a lot of work to change all the maps' location entities. Might even need to add locations to certain corridors that are covered by a room's location entitiy right now, or a new type of location entity for the minimap highlights only. Not sure why that would have to happen, existing location entities should work fine. 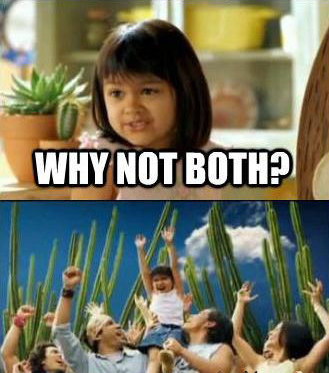 I'm thinking... why not do both? Have the rooms on the minimap show a very subtle blue tint to show it's marine territory, with much more visible circles around the marines themselves to show where they are at that moment.